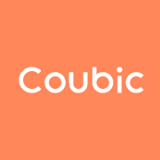 Accepting Customers' Online Reservations – Coubic Inc.
Once a customer makes an online reservation through a reservation page, it will be sent as a reservation "request" to the service provider. A reservation request will be shown as "Pending" status in the dashboard view of service provider, which needs to be "Accepted" by the service provider to fix the reservation. When you select "Accept" action, you can send out a message to the customer to notify about it as a service provider. The message is editable so that you can send out custom message to the customer. Customers will be notified about the fact that the reservation was accepted via email.